Hello from the Wildflower Music Festival Committee! The Wildflower Music Festival is Wildflower’s biggest fundraiser of the year. This will be our 6th annual music festival, and it will take place on April 21st, 2018 at 2500 Estes Rd. (End of Normal). It is shaping up to be one of the best local music events of the year and will feature national headliner ALO (Animal Liberation Orchestra). Our anticipated attendance is approximately 1,000 people. One way that you can help this year is by seeking out sponsorships! If you have a business or know of a business that would be willing to sponsor this event, or you personally would like to donate, please reach out. We are very appreciative of any sponsorships or in-kind donations that come our way. This is also a great opportunity to expose the Chico community to your business and/or product while helping out our wonderful school! Depending on the sponsorship level, your company could be featured on a multitude of marketing platforms including our social media pages, our TV commercial and/or during the event your company could be announced throughout the day by the MC. Your logo could also be put on our posters that will be posted all around Chico, not to mention free tickets and Klean Kanteen stainless steel pint cups! The attached document goes into more detail regarding the sponsorship levels. As a token of our appreciation to our wonderful Wildflower community the Music Fest Committee is giving each Wildflower family 2 discounted tickets that can be purchased at the front office. These tickets will be $20 each and Wildflower kids get in free! There will not be $20 tickets available to the public. You may also purchase tickets at the Wildflower Music Festival website here. 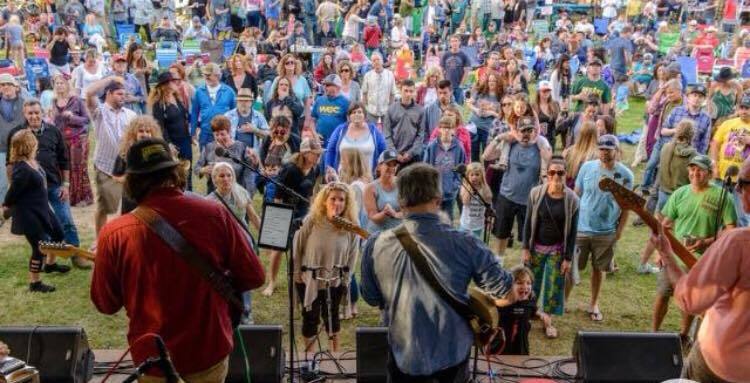 We want to thank our little community for all the support you’ve shown the Music Fest each year and hope you will continue to spread the word and come out and boogie the day away on April 21st! Any questions, please contact the Wildflower Office and they will direct you to the right place!